KANSAS CITY, Mo. 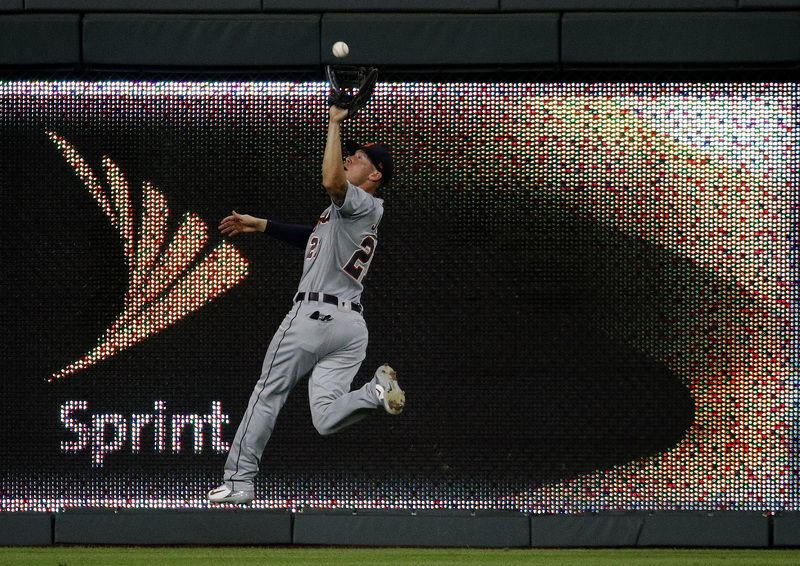 (AP) — Jakob Junis had just served up a home run to JaCoby Jones and a base hit to Jeimer Candelario, and the Royals’ young right-hander could feel the inning starting to get away from him. Junis did indeed get to go back out for the ninth, and when he mowed through Detroit’s lineup one more time, he had his first career complete game. The six-hitter allowed Kansas City to roll to a 6-2 victory to begin a midweek, two-game set between AL Central rivals Tuesday night. Junis’ three previous wins against Detroit came in April and May, when he was off to a hot start, but he struggled throughout June and landed on the disabled list with lower back inflammation. But he’s been solid in eight starts since his return, cutting down his walks and home runs. Boyd, who threw six shutout innings against the White Sox his last time out, wound up allowing five runs on seven hits and three walks in six innings. The Tigers’ right-hander dropped to 3-7 in 13 career starts against Kansas City, and he’s just 8-21 in 41 starts on the road. Detroit could have used a gem from him as they opened a nine-game trip. They’ve lost four straight and five of six, their offense failing to score more than three runs in any of the defeats. Junis had the first nine-inning complete game by the Royals since Jason Vargas on June 2, 2017, against the Indians. … Royals 1B Hunter Dozier has six RBIs in his last six games. He had four in his previous 35. … Tigers LF Mikie Mahtook has reached base in 13 straight games. Royals: OF Brian Goodwin (left groin strain) will rejoin the club when rosters expand Sept. 1, Yost said. … OF Jorge Soler (left toe fracture) will finish the season with Triple-A Omaha before he rejoins the Royals. That would mean Soler is expected back Sept. 4.